The short answer is, you need a license. This site is designed to tell you in just 3 minutes what you need to know about Canadian firearms laws to get started towards buying a firearm in Canada. Legally buying firearms in Canada isn't complicated, or expensive. 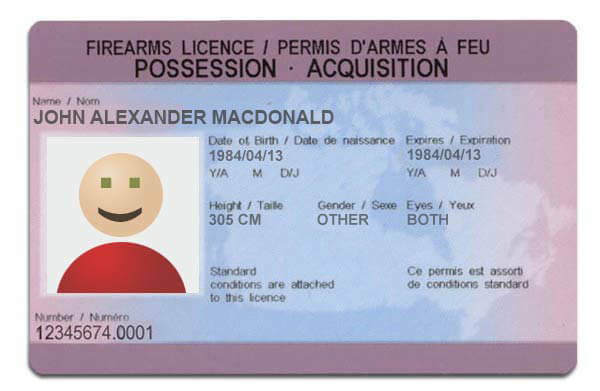 Around 2 Million Canadians already have firearms licenses. That's about 1 in 15 adults. Basically you just need to pass a short, and fairly easy (though very important) safety course, and then mail away for a licence. If you're approved you'll get it in the mail and you can go shopping. The course you will take is called the Canadian Firearms Safety Course, (CFSC for short) and the license you'll get is called a Possession and Acquisition Licence, but everyone just calls it a PAL. It's generally pronounced "pal", like the word for a friend, not "Pee Eh Ell". Québec Residents: Your government has some additional requirements not described here. You should read the page you are on now, and then also the Quebec Page to find the additional information. The PAL is the license that lets you buy firearms. 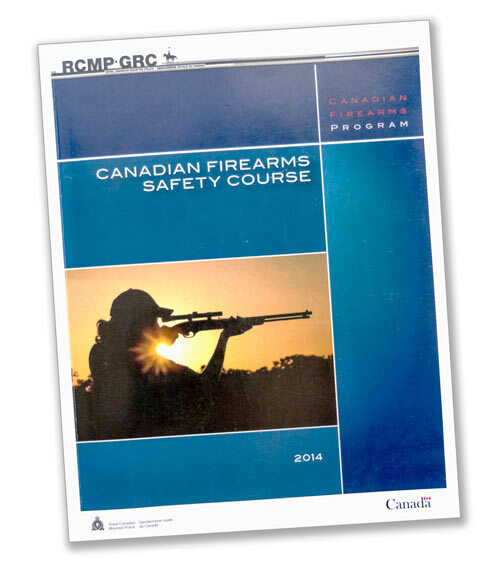 Use the "find a class" page on this website to find out where to take the Canadian Firearms Safety Course (CFSC). Pass the CFSC. It's fun and easy, very few people have any trouble. There are no trick questions, or difficult concepts. Receive your license, and go shopping! See, it isn't really that complicated. Yes, handguns are legal in Canada. If you want to own a handgun, (or other "restricted" firearms such as AR-15 rifles) in Canada you will need to take some additional steps. After you have finish reading this page, use the "Handguns" section of this website to find out more. What's the safety course like? The course is fun and easy, and is designed to be sufficient safety instruction for people who have no prior experience with firearms. Most people simply take a one day class (usually a Saturday), that includes watching a video, listening to an instructor, and going over a book. You know, typical classroom sort of stuff. It's pretty low key, and most people have a lot of fun. The course comes with a great book. It's an easy read, with lots of pictures and diagrams to help you learn the details. No, it's not. At the end of the course there is a test based only on what is covered in the course. Don't worry, it's pretty easy. You'll have to answer a few questions and demonstrate some knowledge of what was covered. The vast majority of people pass. Don't let the word "test" make you nervous. How Much Does a Canadian Firearms License Cost? It's really not that expensive. It only works out to a couple of bucks a month if you look at it in terms of a the cost over the time. It could even save you money! If you take up hunting, it can be an excellent source of surprisingly large quantities of inexpensive, and very high quality meats. Here is a rough guide to the costs. However prices will vary, especially from province to province. My wife actually paid just $20 for her classes as part of a women's retreat. Approximately every five years you will have to renew your license. There is a fee to renew, however it may, or may not be waived for some renewals. THE PROVIDER OF THE PRECEDING INFORMATION IS NOT AN EXPERT ON THE SUBJECT MATTER OR AN AUTHORITATIVE SOURCE. IT IS YOUR RESPONSIBILITY TO OBTAIN FACTUAL, ACCURATE AND COMPLETE INFORMATION FROM OFFICIAL AND AUTHORITATIVE SOURCES. THE INFORMATION PROVIDED IS TO BE CONSIDERED NON-FACTUAL AND MAY INCLUDING ENTIRELY SPECULATIVE STATEMENTS AND OPINIONS WHICH MAY BE CONTRARY TO REALITY. THE PRECEDING INFORMATION IS PROVIDED AS A PUBLIC SERVICE. USE OF THE PRECEDING INFORMATION IS SUBJECT TO THE FOLLOWING TERMS AND CONDITIONS, WHICH YOU EXPRESSLY ACCEPT BY USING THE PRECEDING INFORMATION. IN NO EVENT UNLESS REQUIRED BY APPLICABLE LAW OR AGREED TO IN WRITING WILL THE PROVIDER OF THE PRECEDING INFORMATION, ITS EMPLOYEES, AND ITS AGENTS BE LIABLE FOR ANY USE OR MISUSE OF THE PRECEDING INFORMATION. THE PROVIDER OF THE PRECEDING INFORMATION ASSUMES NO RESPONSIBILITY FOR USE OF THE PRECEDING INFORMATION OR ANY OTHER INFORMATION. THE PROVIDER OF THE PRECEDING INFORMATION IS NOT LIABLE FOR ANY DAMAGES (OF ANY TYPE, FOR ANY REASON, HOWEVER CAUSED, OR UNDER ANY THEORY OF LIABILITY) BROUGHT ABOUT IN ANY WAY BY THE USE OF THE PRECEDING INFORMATION, EVEN IF THE PROVIDER OF THE PRECEDING INFORMATION HAS BEEN ADVISED OF THE POSSIBILITY OF DAMAGE. NO WARRANTY, EXPRESSED OR IMPLIED, IS MADE REGARDING THE ACCURACY, MERCHANTABILITY, RELIABILITY, CURRENCY, TRUTHFULNESS, COMPLETENESS, ADEQUACY, LEGALITY, OR FITNESS OF ANY KIND FOR ANY PURPOSE OF THE PRECEDING INFORMATION OR ANY OTHER INFORMATION, EITHER ISOLATED OR AS A WHOLE. THE INFORMATION IS PROVIDED "AS IS". ALL WARRANTIES OF ANY KIND, EXPRESS OR IMPLIED, INCLUDING BUT NOT LIMITED TO THE IMPLIED WARRANTIES OF ACCURACY OR COMPLETENESS, AND NON-INFRINGEMENT OF PROPRIETARY RIGHTS, ARE DISCLAIMED.